Lemongrass is a typical plant grown in Asia, Africa, and Australia. It is cultivated in gardens to repel the mosquitoes. In fact, many mosquito repelling products contain citronella, which is an essential oil in lemongrass and has the ability to drive mosquitoes, and insects away. In some Asian countries, lemongrass is used as spice, which is commonly added in seafood to eliminate the smell of the fish. In Africa, people often use lemongrass as a kind of tea, which has a soothing aroma and unique flavor. Benefits of Lemongrass are numerous making it an excellent choice for kitchen gardens. Lemongrass also shows a surprise index in nutritional value. Lemongrass is a rich source of vitamins such as vitamin A, vitamin C, vitamin B9, vitamin B12. Lemongrass also has a good supply of minerals: potassium, copper, iron phosphorus, calcium, and manganese. Moreover, lemongrass is a natural antiseptic, anti-inflammatory, and anti-pyretic. Lemongrass is very famous in India and in some South East Asia countries for treating stomachache as well as spasmodic pain of digestive tract. Moreover, the high amount of antiseptics in lemongrass helps prevent the over-development of bacteria in the colon. Thus, lemongrass protects from gastroenteritis, especially diarrhea. Taking lemongrass frequently is very good for your digestion. Drinking lemongrass tea is one of the simplest ways that you can repeat every day to have a healthy digestive tract. Besides having a good impact over digestion, lemongrass is also effective in relaxing the muscles. If you are having muscle pain due to an intensive session of workout, or over workout, lemongrass will help you reduce the pain significantly. You can use lemongrass as an aromatherapy where you’ll inhale upon the essential oil of lemongrass which will reduce muscular pain. Another method to reap benefits of lemongrass is by directly massaging with a small amount of lemongrass oil at the site of muscle pain for 10-15 minutes. Do you often suffer from cold and flu in winter? 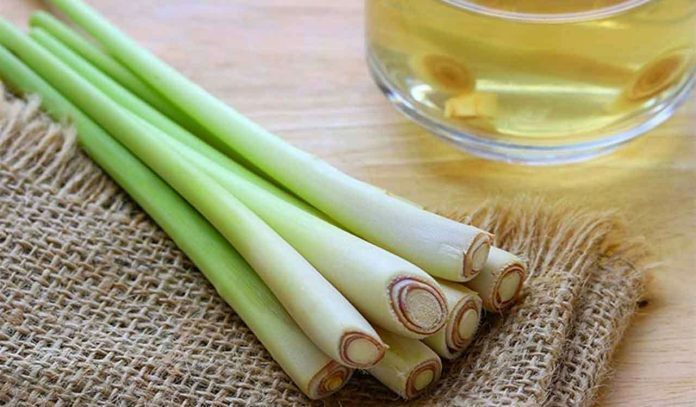 In the next winter, you will not have to worry about cold, fever, and cough anymore, because you will have lemongrass protecting you. Lemongrass contains a high amount of natural antiseptic and it can suppress the development of bacteria in the mouth as well as throat. By drinking lemongrass infusion, you can totally prevent cold and flu. Moreover, lemongrass also reduces the symptoms and adverse effects of the flu, such as muscle pain, sneezing. If you often suffer from common cold, you can make the best of these home remedies for cold and keep yourself symptom free. Sleep is very important for our health. Without sleep our body doesn’t get time to replenish and repair itself. Sometimes, due to stress or changes in life, you may get insomnia or other sleep disorders. In these cases, lemongrass shows an amazing ability to reduce insomnia and promote sleep quality. Having muscles and nerves relaxing ability, lemongrass can improve the duration and quality of sleep. Therefore, taking one small cup of lemongrass tea before going to bed is one of the best home remedies for insomnia as well as other sleep disorders. One of the most common signs of inflammation is fever. Our body gets dehydrated and tired. Treating fever is usually at the top of managing diseases and lemongrass can with that as well. Lemongrass can be used as an aromatherapy to increase sweating. Sweating makes the body temperature decrease significantly. However, as you’re sweating much, you should consume plenty of water to replace the lost water, at least 3 liters. Lemongrass is a natural antiseptic and astringent so it is really helpful to people who have oily skin and often get acne. It not only helps clean the skin surface but also tighten the pores so you can easily treat the blackheads. Sometimes, lemongrass products may cause dermal irritation so you should always perform a skin sensitivity test and consult dermatologist before using any skin care product containing lemongrass extract. If you suffer from rheumatism, lemongrass is just what you need. Lemongrass can effectively reduce the pain in rheumatism. You can apply the lemongrass essential oil in the affected joint sites to ease the symptoms of rheumatism. Lemongrass contains a certain amount of anti-depressant, which can help you fight with anxiety and depression. The essential oil of lemongrass, citronella, helps the nervous system be calmed and relaxed. When you are in the low mood or excess stress, you should take one cup of lemongrass to elevate your mood up. Hannah Hall had the time worked as a staff nurse in Australia and Denmark where her main responsibility was patient nutrition manage. Now, she continues to take part in a lot of research which are related directly to nutrition. Moreover, sharing knowledge and writing are her particular passion.